GP cover is likely to remain unpredictable for the foreseeable future due to the Practice still being short of a full time partner. We feel the best way forward is to continue with our current system of open access at the Wallacetown site every morning from 8am to 9.45am over the next few months at least. This is to try and make it easier to see a GP on any given day and to cope with the high demand. We appreciate your patience during this challenging time. 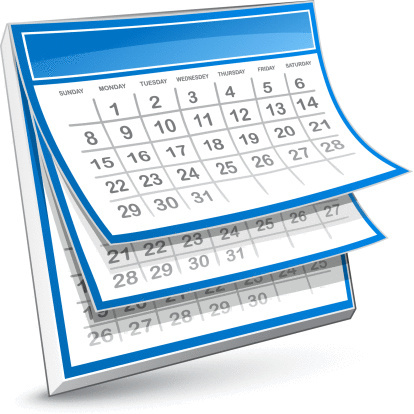 If you fail to attend 3 appointments within a 6 month period, you will be removed from our practice list. Following the first and second non attended appointment, we will send you a letter. Should a third non attendance occur during the 6 month period, you will then receive a letter advising you that you have been removed from our list. This letter will include details of how to register with another GP practice. You will have 8 days from the date of the third letter before you are removed. It is very unfortunate that we have had to implement these measures, but in todays climate where the demand for appointments is ever increasing, patients who book then fail to attend appointments are delaying the opportunity for others to see a health professional. This is a very important service as bowel cancer is the third most common cancer in Scotland. The service is open to any man or woman aged between 50-74years. You should automatically be sent a testing kit every 2 years around the time of your birthday. If this does not happen please call 0800 0121 833 to request a kit. Full details of the Service can be found by clicking the link below. To see our opening times and what to do when we are closed please click the link below. Please ensure that you keep your personal details up to date with us including any changes of address or mobile phone number to ensure we can contact you when required. It is most important that you contact us as soon as you realise you cannot attend a booked appointment. This allows us to be able to offer your appointment time to another patient. Due to a national shortage of GPs, the Practice has decided to have an open access surgery Monday to Friday from 8am to 9.45am. This is a drop in surgery at Wallacetown Health Centre - no appointment is necessary. It is open to Patients registered at Wallacetown Health Centre and Douglas Medical Centre. As a general rule, there will be no GP appointments available at Douglas Medical Centre for the foreseeable future. If an afternoon GP appointment is required please telephone our reception staff on 01382 459519 for Wallacetown, or 01382 480330 for Douglas Medical Centre. Please remember that if you wish other members of your family to be seen you must book separate appointments. We now offer a number of pre-bookable appointments which are available at set times throughout the day. If, for any reason, it is easier for you to attend the surgery outwith normal practice hours, we have an extended hours surgery which runs every morning from 7.30am up to 8.30am. These appointments can be pre booked via reception. Patients based at Wallacetown Health Centre and Douglas Medical Centre are welcome to book these appointments. Emergencies have priority at all times. The duty doctor for the day will be able to help you. It is now not always possible to speak to a GP on the phone especially regarding routine matters. It is much easier to see a GP face to face in the open access surgery which runs every day. If you receive a letter to call in regarding a test result, you will be added to the next available routine results call back slot on the GPs screen. This may not be for a call back the same day. Please note that if you have had a procedure or treatment done outwith the NHS and follow up treatment is required in relation to this, then it must be done by the private provider and not your GP. 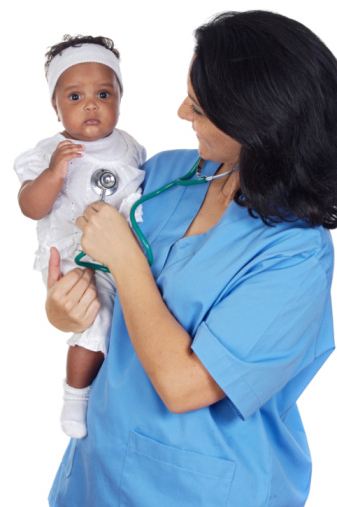 The practice Nursing Staff offer a full range of nursing services to our patients. Appointments can be made through the Receptionist for dressings, removal of sutures, foreign travel advice, immunisations, etc. Our Nurses have a particular interest in chronic disease management (asthma, diabetes, heart, blood pressure) and well person preventative care and would be happy to discuss this with you. Appointments for the Practice Nurse are available daily between 08.30 - 12.15 and 14.00 -17.15. When making an appointment with the Practice Nurse, you may be asked to give an indication as to why you are attending in order for you to be appointed with the most appropriate Nurse. If you are requested to supply us with a blood sample, and you are a Wallacetown patient, the Practice Nurse uns a clinic every Monday to Friday between 9-10am.You are not required to make an appointment for this service. If you are a Douglas patient and are asked to supply us with a blood sample, please call the reception desk and you will be given a time to attend. If you are required to hand in a sample for testing at the laboratories in Ninewells, then these must be handed in to the practice before 12.00 at the latest as they are picked only once a day at this time and samples can spoil if left to sit overnight. Please see clinics and services for travel advice page. If you require to have any follow up blood tests or removal of stitches etc. following a procedure that has been carried out privately (not under NHS care), then this must be carried out by the organisation where the procedure was performed. As you will be aware from both local and national press, general practice is under increasing pressure from the high demand on our services. The reasons for the increased demand are many and varied but the effects are concerning, and you will be aware of practices closing lists and being unable to replace doctors as a consequence of this. We have taken the difficult decision to not offer routine GP appointments at Wallacetown Health Centre or Douglas Medical Centre in the morning. We now run an open access surgery every morning at Wallacetown Health Centre. If you wish to see a GP them you can drop in to Wallacetown Health Centre between 8am and 9.45am Monday - Friday and you will be seen. This is open to Patients based at both Wallacetown Health Centre and Douglas Medical Centre. The surgery will operate on a first come, first seen basis. You do not have to phone in to access this surgery. There will be GP appointments available to book in the afternoons at both sites. Douglas Medical Centre will continue to be open from 8am-6pm. You can still hand in prescription requests into Douglas and the prescription will be ready after 48 hours as usual. If a routine appointment required by yourself or indicated in a letter you have received is required and you cannot attend the open access surgery, you will be offered a booked appointment for an afternoon appointment at a later date. If you feel you must be seen that day, we will take your details and pass them to a GP who will call you back (usually in the afternoon) and may give you a time to come in to see them in the afternoon. This is entirely the GPs decision, not reception. There will unfortunately be reduced GP telephone availability. The GP will not normally call a Patient back regarding a prescription request, an insurance certificate or to discuss test results. Prescriptions should be ordered in the correct manner i.e. at the reception desk or via our practice website. Insurance certificates, letters from the Doctor etc. should be requested at reception, they will then pass any such requests on to the GP. Insurance certificates will usually be ready in 48 working hours. 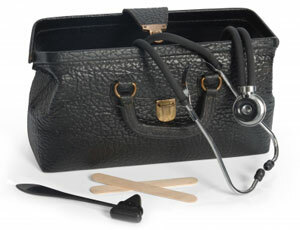 You will not routinely receive a call from the GP regarding results. If you receive a letter from the GP asking you to telephone the Doctor to discuss results, you will be given the next available routine results slot. If however, you wish to discuss the result with the GP e.g. you are still having symptoms or are concerned, your number will be taken and you will get a call from the GP, but this will not necessarily be on the same day you called. Nurse Appointments will continue to run as normal. We thank you for your patience during these testing times and welcome any comments in the boxes provided at reception on both our sites. 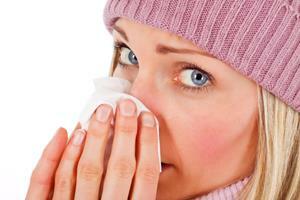 You may only request a home visit if you are housebound or are too ill to visit the practice. Please try to call the surgery before 10am to request a home visit, 01382 459519 for Wallacetown Health Centre and 01382 480330 for Douglas Medical Centre. Any home visits requests after 11am should be for emergencies only. The Receptionist will ask you if you consider your home visit to be an emergency and if so, you will be put straight through to the duty Doctor. If the home visit is less urgent you will be asked for your address to check that we hold your correct details on file and we will take a telephone number from you so that the Doctor can call you back. You may receive a telephone call from the Doctor prior to your home visit in order for them to discuss your needs and the urgency of the visit. There will usually not be a GP present at our Douglas surgery any morning. GP appointments will normally be available in the afternoon, a few of which can be booked in advance.